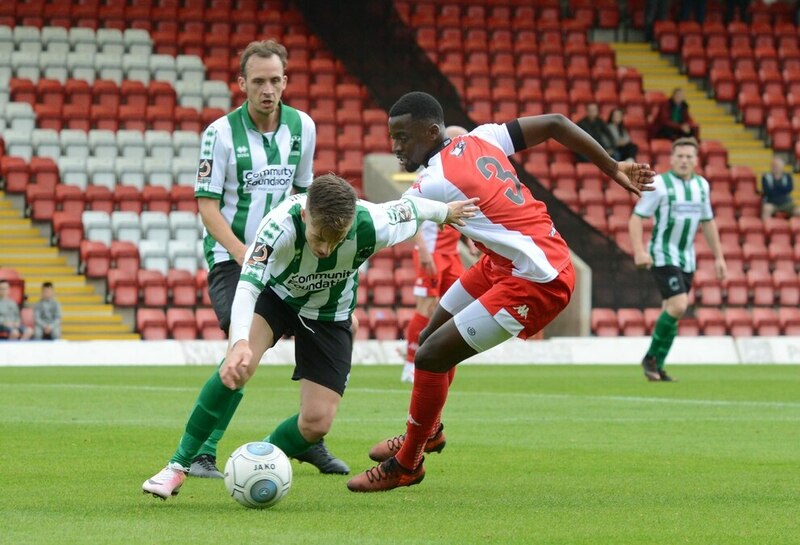 Kidderminster Harriers remain unbeaten in the National League North after a well deserved 3-1 victory over Blyth Spartans at Aggborough. Kidderminster's Ashley Chambers celebrates his goal (JOHN SAMBROOKS. 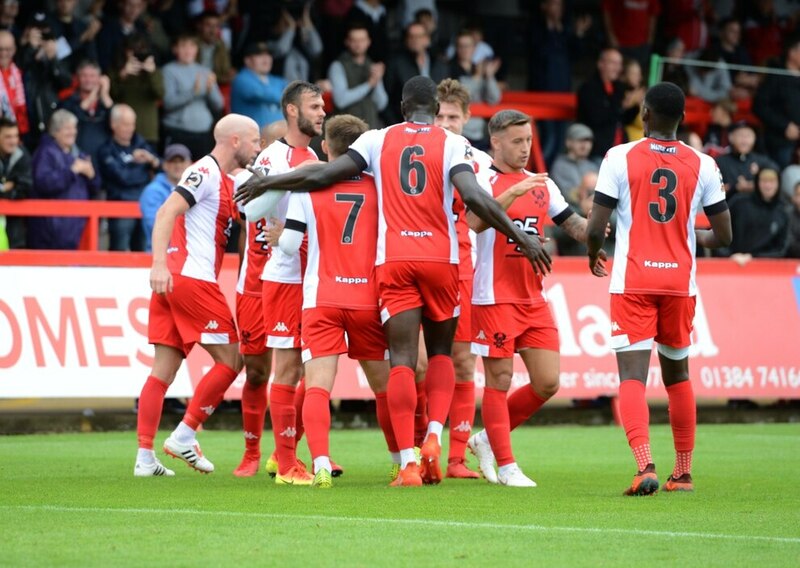 Ashley Chambers, Fraser Horsfall and man-of-the-match Ed Williams all got on the scoresheet to power on-song Harriers to their third win on the bounce. Spartans consolation effort came courtesy of an own goal by defender Horsfall. Kidderminster made just one change from the side which triumphed 2-0 at Boston United the previous Saturday. Defender Kennedy Digie came in for Ryan Johnson who is on international duty for Northern Ireland Under 21s. High riding Harriers, who won 5-4 in the corresponding fixture last season, made an encouraging start, but had to wait until the 10th minute before they got in an effort on target. Following a deep cross from Lee Vaughan, the opportunity fell to Joe Ironside whose diving header was comfortably saved by goalkeeper Peter Jameson. Shortly afterwards Declan Weeks tried his luck with a fierce drive which whistled just over the bar. 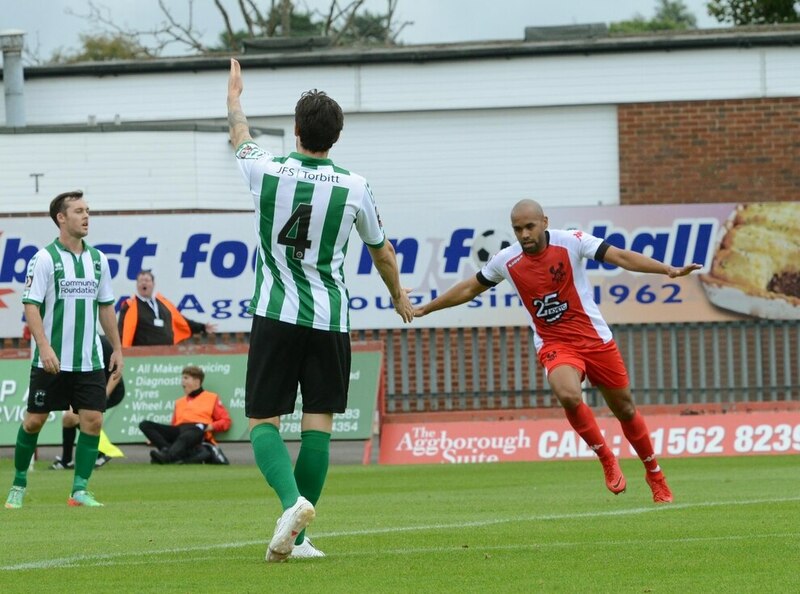 Blyth responded by gaining the first corner of the match in the 19th minute which was firmly headed against the bar by Nathan Buddle before being cleared with difficulty by the Aggborough rear-guard. 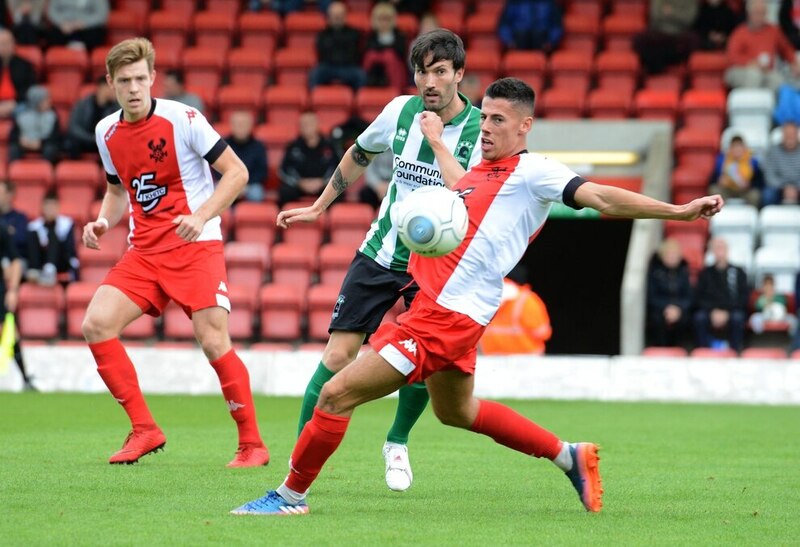 Harriers quickly recovered from the scare and four minutes later a defensive mistake enabled Chambers to win possession and beat his marker before screwing his shot agonisingly wide. Blyth were then rescued by Jameson who did well to block a powerful shot from Billy Daniels just before the half hour mark. 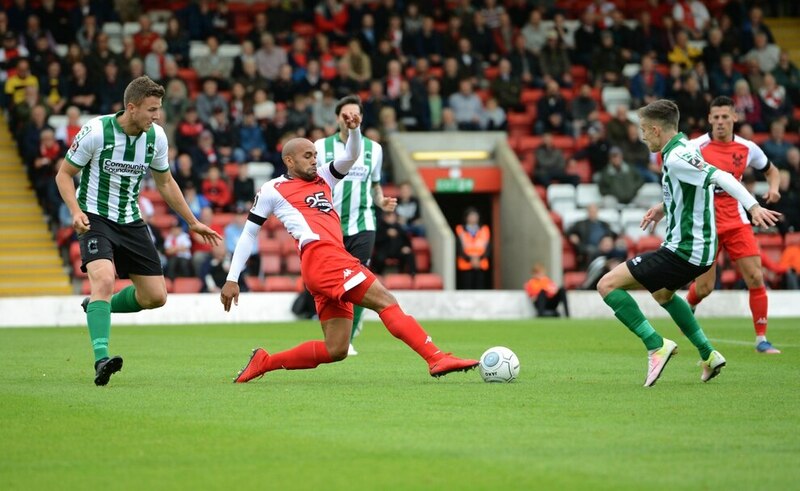 Harriers continued to push forward and went ahead on 37 minutes when a cross from Joel Taylor was headed up into the air by a Buddle before falling to Chambers who netted with a sweetly struck first time shot. Six minutes later it was 2-0 when a blocked shot from Chambers enabled Horsfall to fire the ball past helpless Jameson for his second goal of the season. 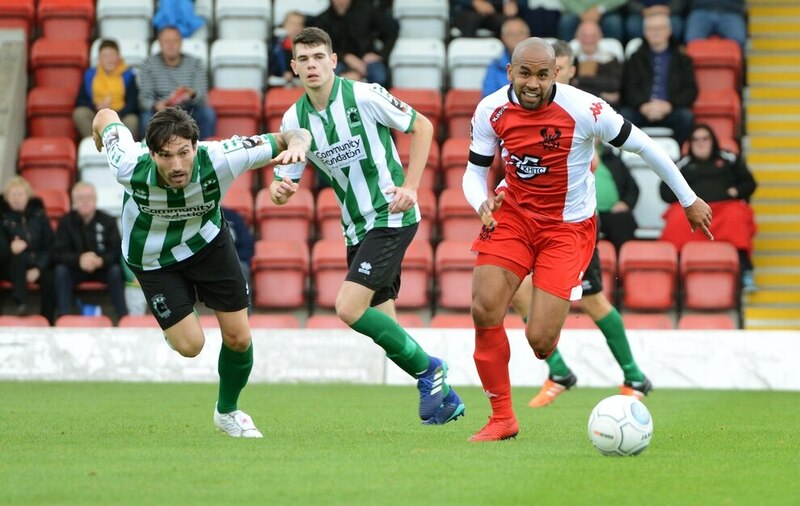 Harriers continued to look threatening in the second half which was 11 minutes old when Blyth had a good chance to pull a goal back, but Sean Reid sliced the ball well wide. Spartans had better luck on 57 minutes when they made it 2-1 when Jarrett Rivers drove the ball across for the face of goal which led to an attempted clearance by Horsfall ending up in his own net. 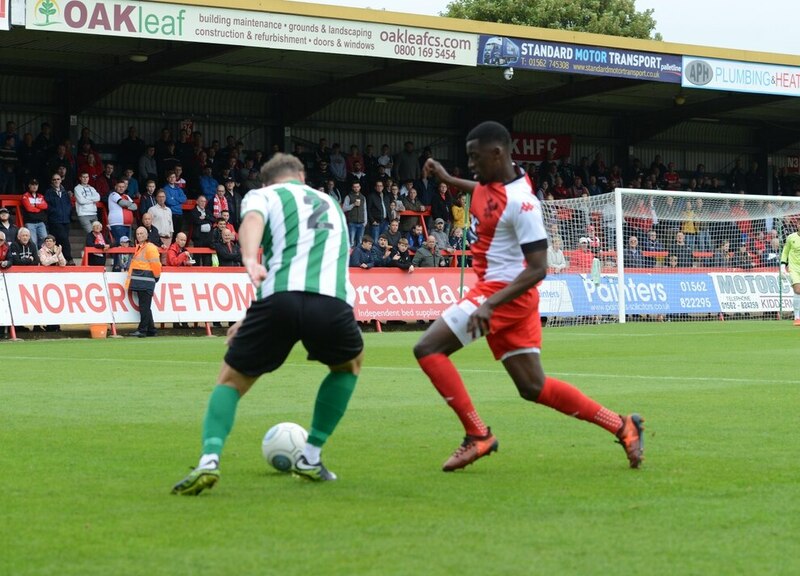 Soon after Harriers had strong penalty appeals turned down even though the linesman was flagging for a spot kick after Chambers had gone sprawling inside the area. Spartans, however, fell 3-1 behind in the 70th minute when an excellent through ball by Vaughan found Williams who struck his low shot just inside the far post. Kidderminster: Hall; O’Connor, Horsfall, Digie; Vaughan, Weeks, Williams (Baxendale, 80), Daniels, Taylor; Ironside (Bradley, 72), Chambers (Richards, 82). Subs not used: Austin, Wagner. Blyth: Jameson; Nicholson, Buddle, Cunningham, Liddle; Oliver, Horner (Wrightson, 77), Reid, Dale; Rivers, Maguire. Subs not used: Skirpan, Watson, Pybus, Mullen. Attendance: 1,570 (27 away fans).